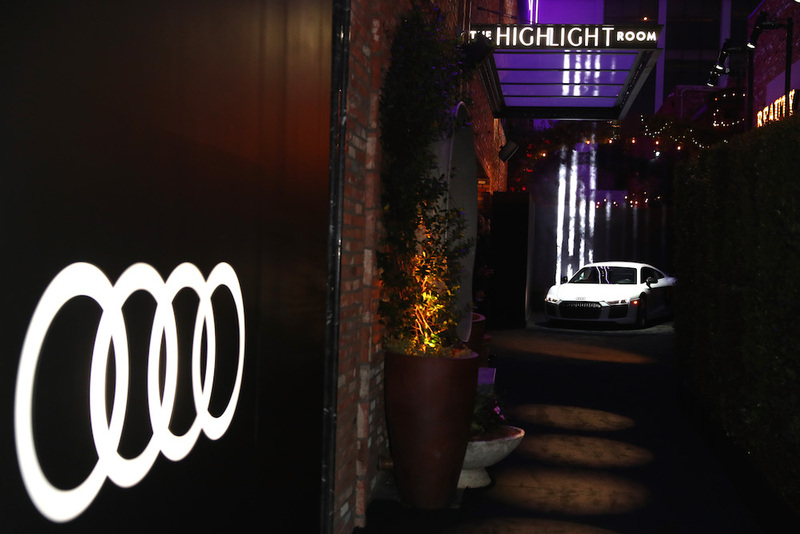 Last night, Audi, the official automotive partner and vehicle provider of the 69th Emmy Awards, hosted its renowned pre-Emmy event to kick off Emmys weekend and celebrate outstanding talent in television with an exclusive red carpet and rooftop celebration at The Highlight Room at Dream Hollywood. Attendees included Emmy nominees Milo Ventimiglia (Outstanding Lead Actor In A Drama Series, This Is Us), Julia Louis-Dreyfus (Lead Actress Nominee, Veep), Tony Hale (Supporting Actor Nominee, Veep), Kate Dennis (Outstanding Director Nominee, The Handmaid’s Tale), Kathryn Hahn(Outstanding Supporting Actress In A Comedy Series, Transparent), and Jean-Marc Vallée (Outstanding Director and Outstanding Limited Series Nominee, Big Little Lies). The 2018 Audi R8 made a special red carpet appearance, while VIPs including Julia Louis-Dreyfus, Kathryn Hahn, Tessa Thompson, Justin Hartley and Ricky Whittle were chauffeured in 2018 Audi vehicles to the exclusive celebration. In addition, the 2018 Audi Q7 will chauffer nominees and presenters to the Emmy Awards on Sunday, September 17th.